Three days of JCK and I’ve seen some amazing jewellery. From small and feminine bracelets that hardly seem to touch the skin, to large statement pieces, a great Diamond Deal and even a Star Wars figure made completely out of gold and diamonds! But do you want to know what the biggest difference is? …people are talking and negotiating a LOT more. Now that we’ve had some time together it seems that almost everyone is huddled in a corner or a booth, turning pieces of Jewelry around in their hands and talking animatedly about the gemstones or the weight of each piece. Between filming I’ve followed our head buyer Ankur around a lot. He’s been coming to JCK for years and years. It’s shows too, because it seems that he can’t walk 20 feet without someone coming over with as big smile on their face to shake hands and catch up. A lot of them have jewelry to show him but it seems that all of them are happy to see him. If you ever hear a host or one of our commercials talking about our “excellent supplier relationships” this is what it’s all about, and I managed to witness the advantages of this first hand. About halfway through the day, as we made our way from one side of JCK to another (a task that can take up to 30 minutes sometimes) an old friend and supplier of Ankur’s ran over to say hello. He retrieved his phone from his pocket and showed pictures of his son after a fishing trip. They looked exactly like two old school friends catching up. Ten minutes later, and they’re both bending over a nearby counter and looking at some of the biggest and bluest gemstones I’ve ever seen! Once a deal was reached Ankur was so excited he immediately wanted to tell everyone about it and we featured the gemstones on a live broadcast on Facebook. It just goes to show the real value of these events like JCK Las Vegas. You never know what new jewellery designs you’re going to see. 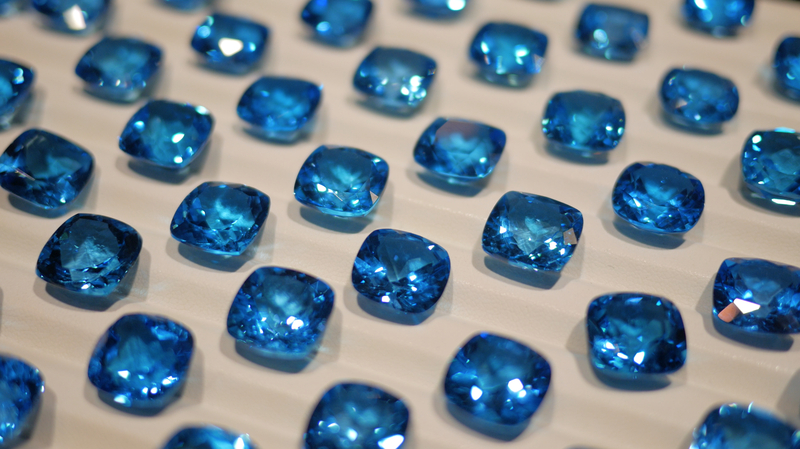 You might talk to someone who has managed to find a new source for a gemstone. You could be negotiating for hours and hours in order to get an awesome deal. You could even discover some very exciting new bracelet designs like our Head of Sales, Heather, did. I’m not certain how many deals Ankur managed to come home with. I know that we can look forward to some beautiful new Fire Opal Jewelry, and there were some deals that were so good and so exciting that I’ve been instructed not to tell a soul! Diamond Deal – click image to watch! 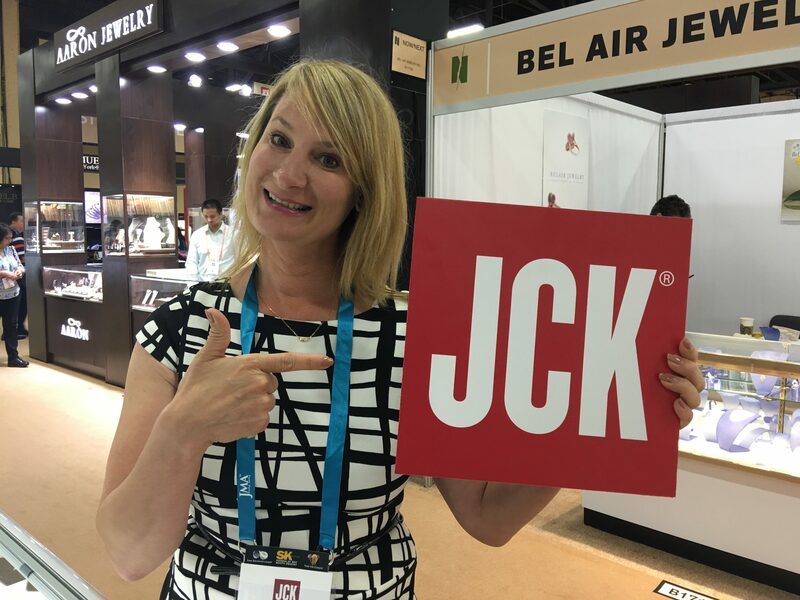 What’s for sure is that JCK Las Vegas means that we have more opportunities to find new and exciting products for you. Yes, there may be negotiation marathons that make the iron man run look like a school sports day, but if we leave with an fantastic deal, everyone’s happy. Oh, and if you I ask me what JCK stands for……… I still don’t know.